While the school year started out good, the girls quickly started dragging their feet when it came to finishing school work. After a couple weeks of banging my head against a wall extremely long days, I gave up and made them a new behavior chart. I hadn't intended to go back to using a behavior chart again (we had a simple one when the girls we're a couple years younger), but I was hopeful since it had worked well the first time! This time, however, I decided to base it on ponies. 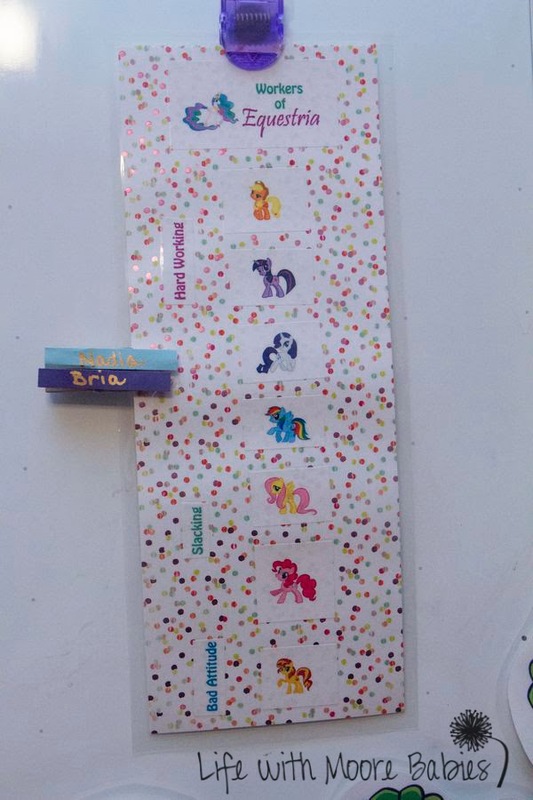 You see my girls are obsessed with My Little Ponies, and fortunately for me my oldest's favorite is Applejack. 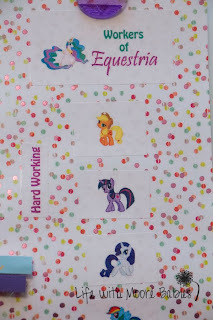 For those of you don't know anything about My Little Ponies, Applejack is known for being hardworking and honest. This is in stark contrast to the silliness that usually is my girls, but it is also a great incentive for them to try harder. They would much rather be compared to Applejack then the fun loving Pinkie Pie. 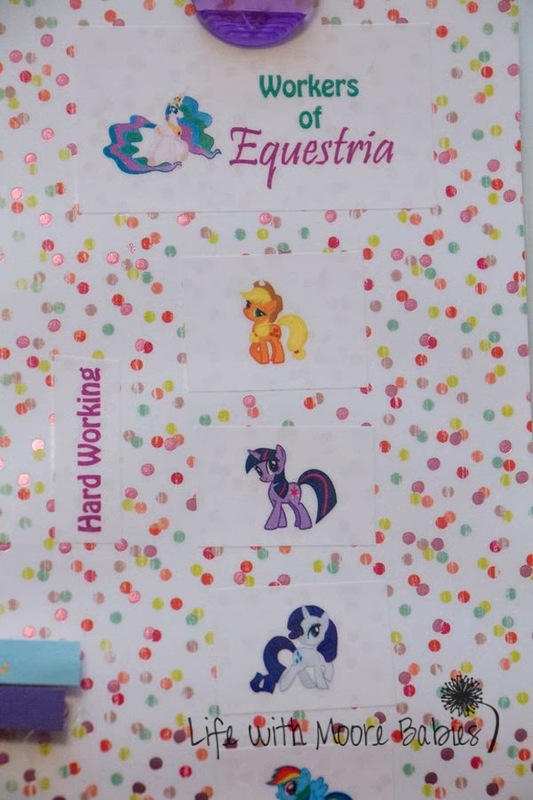 So I made this little chart (just pictures glued to scrapbook paper and laminated) and allowed the girls to put the ponies in order starting with the hardest working. (I didn't agree with the order, but hey, it is their chart, right!) I threw Sunset Shimmer in at the bottom for bad attitude. It doesn't make them happy at all to be put down there! So far I think the chart is really helping. I have it on our white board, and they frequently ask me what pony they are. While they do still fuss, they usually straighten up quickly if they get moved down. Hopefully in time they will stop getting moved down as often. 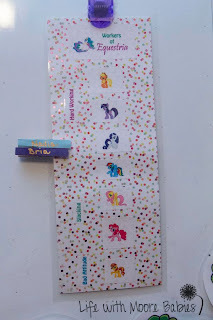 If your kids aren't into ponies just pick a theme they are into and figure out who their favorite is. It is amazing how hard they will try to be compared to their favorite character!